National Trails Day is sponsored by the American Hiking Society. Parks, states, and organizations all over the country host hiking, biking, and recreation events to highlight the many uses and benefits of trails. 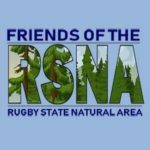 Our own event will feature a guest guide, Randy Hedgepath, State Naturalist, park ranger, and expert in edible foraging, who will lead participants through Rugby’s hidden trails. The Rugby State Natural Area boasts beautiful slopes and loops underneath towering umbrella magnolia, and second-growth hemlock, tulip poplar, and holly. Wild turkey crossings are frequent, deer ford the Meeting of the Waters, and black bear steal corn feed from the ducks.